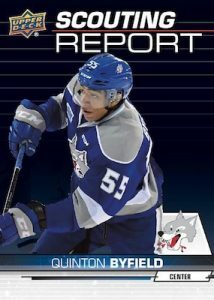 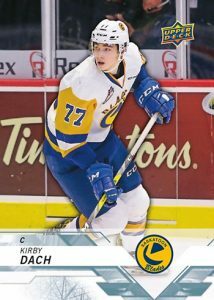 2018-19 Upper Deck CHL - Hockey Card Checklist	Overall rating:	4	out of 5 based on 1	reviews. 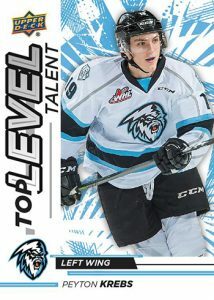 2018-19 Upper Deck CHL Hockey is a product that is in its second year of production. 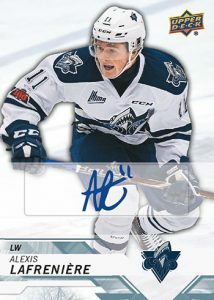 Last year’s debut release saw significant popularity, especially on Upper Deck’s ePack platform. 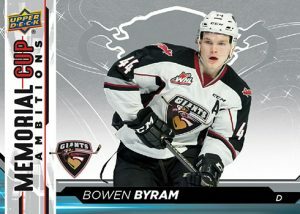 The affordable set offers up cards from across the Canadian Hockey League, with all of its sub-leagues being represented. 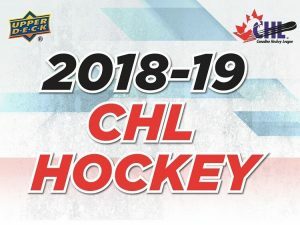 The CHL has a total of 60 teams, mostly at the local level, meaning that fans in Canada can see this as a great opportunity to get some of their local talent, many of who already have their sights set on the NHL. 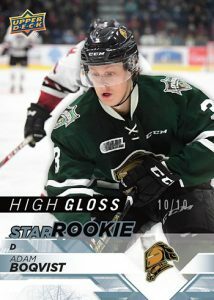 2018-19 Upper Deck CHL provides 1 autograph card per box, as well as a guaranteed Star Rookie per pack.